Is Your Leader Visionary? Read This Story - Something New Everyday! ​ The young boy asked the old man, "why a fast running horse is better than the slow running horse"? The old man said, "it has developed the habit to produce more power so that it can run up to ten times faster than the slow horse" The youngster said, "and what if the horse is running in the wrong direction"? The old man smiled and said, "then definitely it has the appropriate factor to waste his efforts ten times quicker than the slower horse" The young man said, " and what if other horses are following him too" The older man said, "off course it will mislead all those horses too!" "Then why all other horses follow the faster one" "Because that attracts them but all that glitters is not gold sometimes"
1- If you have a slow attitude towards life (slow running horse) then you must develop the habit to produce more power in your character. You must be aware of your real goals. You must develop analytical skills, Empowered Relationships, Proactive approach and other personality traits such as Commitment, Courage, Communication Skills, Focus, Competence and Passion. 2- If you have a faster response to life and quick decision making then you must audit yourself on whether you are heading in the right direction? Not having clear goal will take you nowhere regardless of your speed and efficiency. Remember, Only hard work doesn't guarantee the success. , the vision and strategy are the most important ingredients of the success which is acheived through consistent, productive and effective efforts in the right direction. 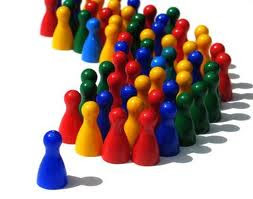 3- Are you following a leader? Are you sure you have a true leader? Are you sure you will not end up on the blocked road? Remember, U-turns are always possible before the dead end but consequences of U-turn will be more harsh if you don't evaluate the situations on time and delay it to the eleventh hour.